If you use Facebook Moments then a) you're in the minority and b) you'll be sad to hear that the social media giant is shutting down the standalone photo sharing app on 25 February. Launched in 2015, it was Facebook's take on Google Photos – a way to share your photographs in collaborative albums (complete with Facebook's facial recognition cataloguing) without having to upload them to your profile. 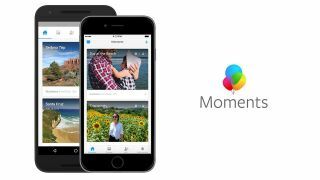 "We're ending support for the Moments app, which we originally launched as a place for people to save their photos," Rushabh Doshi, director of product management for Moments, told CNET. "We know the photos people share are important to them so we will continue offering ways to save memories within the Facebook app." Should you have any photos or videos on the app, Facebook has set up a page for you to retrieve them. You will have until May to either transfer your files to private albums on Facebook, or directly to your computer or phone. Facebook's reason for discontinuing the app is primarily due to its lack of popularity. Despite being installed by 87 million users over its lifetime, with 10.7 million downloads in June 2016, last month it was downloaded just 150,000 times.